The mid-size pickups have still been far behind the full-size models on the sales chart but the times are better than before for the segment. The Toyota Tacoma leads the game in this class but the reintroduced Ford Ranger and new Jeep Gladiator should accelerate the class’ pulse. 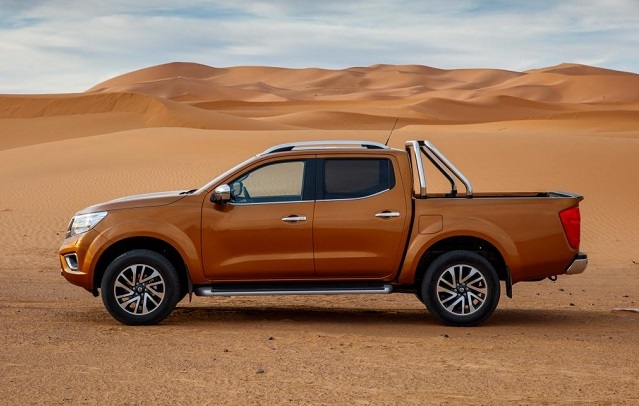 The oldest-deign in class, the Nissan Frontier has also been expected to enter the new generation and as vice president of the project sad recently, the redesigned 2020 Nissan Frontier is almost finished and getting closer to the official debut. The current generation Frontier arrived for 2015 and the retro-design model has been sold in 79, 646 units in the US for the 2018 calendar year. It is still better than the full-size Titan but the Frontier can’t catch the pace with the class top-sellers Toyota Tacoma and Chevy Colorado. With the new Ford Ranger on the US soil and unique Jeep Gladiator, it would be even harder for the model. However, the redesigned Frontier could prove better on the market and challenge the new and better-rated rivals. The prototype version hasn’t yet been caught on the roads despite the model should be close to the debut and there are no many confirmed details about the new-gen Frontier. 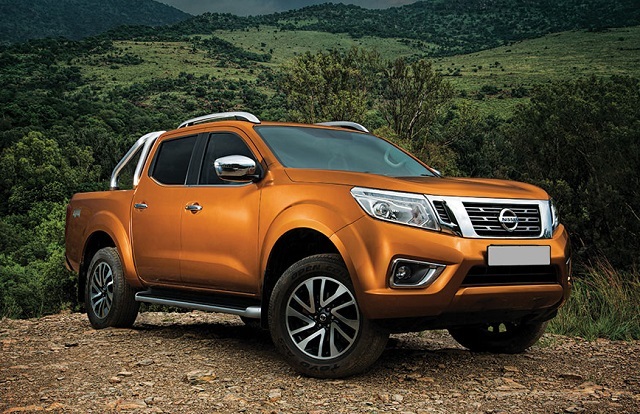 The sources in the industry indicate that the redesigned Frontier should borrow heavily from the globally well-rated Navara model and the launch of the new version could match the arrival of the mid-updated Navara. Nissan could also relaunch the Frontier-based Xterra SUV. It is the old story that the redesigned 2020 Nissan Frontier will share the underpinning with the global Navara model and should also look very similar to it. The tested-and-proved chassis of the global Navara is also found under the upscale Mercedes X-Class and could also be the base of the next generation Mitsubishi Triton. Ford hasn’t also redesigned the Ranger from the ground up and the US version is a near twin of the global Ranger model. From the visual point of view, the new generation Frontier should also be very similar to the global model. The Navara version arrived all-new in 2014 and should experience the mid-cycle update for the 2020 version. The refreshed grille, headlights and taillights should form more modern appearance and be adapted to the Frontier version. More elegant body lines and modern styling elements should mark the begin of the new chapter for the Frontier. Inside the cabin, the new-generation Frontier should bring better quality materials and the latest tech and safety systems. The model will get the redesigned dashboard with the new center and instrument cluster. The high-comfort features and leather upholstery will be available alongside the various textures. The model will also integrate the newest infotainment platform likely with the base 7-inch center display. The upgrades in upper trims will add navigation and premium sound system. The truck will also employ the modern safety equipment such as adaptive cruise control, automatic emergency braking, 360-degree camera system, etc. With the Navara-proven platform and multi-link rear suspension, the 2020 Nissan Frontier should provide great ride comfort. The truck should gain new engine and transmission options including the new V-6 petrol unit which Nissan announced earlier. The diesel-powered version is also possible and the praised Pro-4X trim will also be available. The current Frontier relies on the base 2.5-liter four-cylinder petrol unit and more potent 4.0-liter V-6. The new generation version should gain a new V-6 engine which will also be the part of the Titan’s equipment list. However, it isn’t yet clear would Nissan use the current design or the all-new engine version. The upgraded 3.5-liter V-6 sourced from the Pathfinder SUV has been mentioned as the possible solution for the new Frontier. This engine makes 284 hp and 259 lb-ft of torque under the hood of the Pathfinder. The diesel mill could also be the part of the new Frontier and while the global Navara uses a 2.3L dCi turbo mill in two states of tune, the Frontier could employ a 2.8-liter four-cylinder turbo diesel engine with the power around 200 hp and torque around 350 lb-ft. The new truck will also get a new 7-speed automatic transmission and a sophisticated four-wheel drive system. The redesigned 2020 Nissan Frontier should appear by the end of the year. With the expected upgrades, the model should lift the base price in the vicinity of $20, 000.